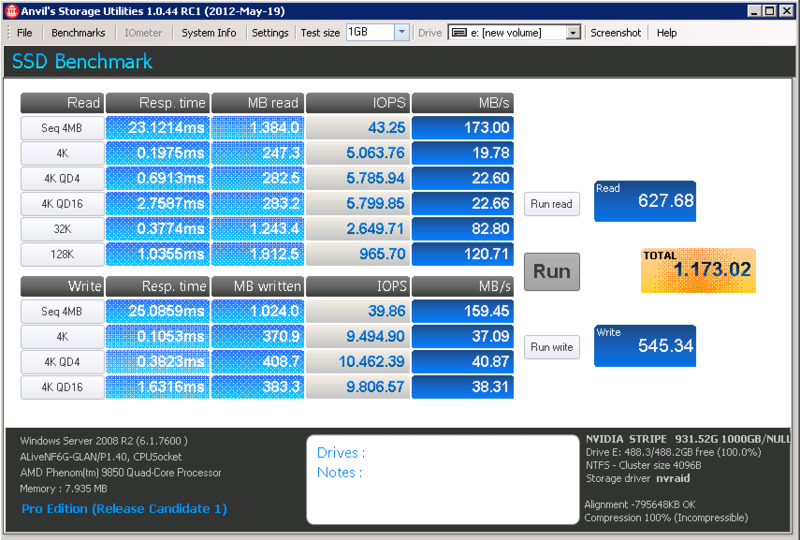 VeloSSD Benchmarks from 2012 with the Anvil App. benchmarking hardware RAID with VeloSSD yields a 20 time acceleration factor of. Conclusion: although the setup on a hardware RAID degrades SSD performance. VeloSSD accelerates the RAID by an overall factor 20.